TPO membranes are not all the same. Some membranes are thinner than others, sizes are different, and specifications vary widely depending on which manufacturer your TPO is sourced from. 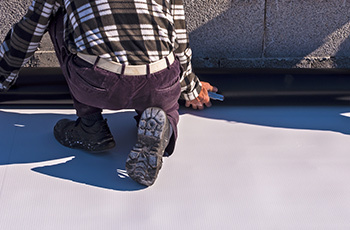 it is important that you’re working with a local commercial roofing contractor that knows the differences, is going to be honest with you about what the best choice is for you, and has the experience to do the job right. That commercial roofer is Iron Shield Roofing. If you are considering TPO roofing, give us a call. We serve all of Alberta and have a long line of happy commercial customers behind us who are happy to tell you about their experience with Iron Shield Roofing. We demand the best from ourselves, and we expect our customers to do the same.